The centre announced on Jan. 11 that a small calf was seen by researchers swimming with the L pod of orcas in Puget Sound near Seattle. The baby called L124 brings the southern resident population up to 75. Its gender is not yet known. “Approximately 40 per cent of newborn calves do not survive their first few years, but we hope that this one makes it to maturity, especially if it is female,” a statement from CWR said. 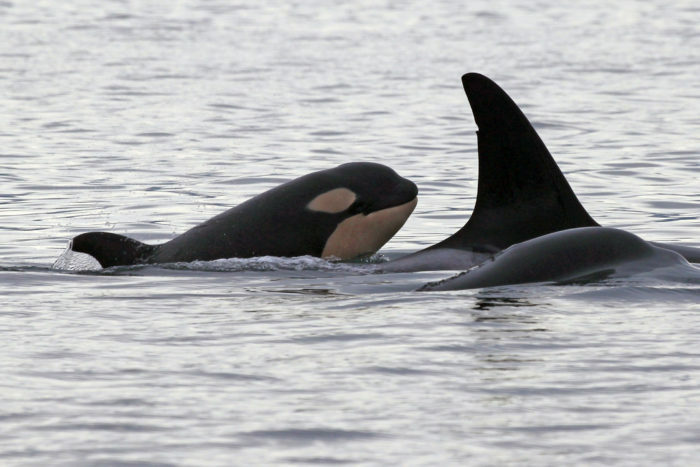 The mother is believed to be a 31-year-old orca called L77, who has mothered two other known calves. The first was born in 2010 but died that same year, and the second is L119, a female who was born in 2012. The endangered southern resident population consists of three pods — J, K and L. The L pod is the largest. The Centre for Whale Research studies southern resident killer whales in the Pacific Northwest, and is dedicated to the conservation of the endangered orca population. More information about CWR and updates about L77 can be found at www.whaleresearch.com.